The short-term financial needs of struggling casino destination Atlantic City, New Jersey, have been patched for the short term by tax lien payments for three of the city’s casinos, two of which have long since shut their doors. The weird story of the Revel closure and disputed bankruptcy auction — more on the latest developments there in a bit — includes a lifeline of sorts extended to the city by Wells Fargo Bank, the primary financier of the failed Revel casino. After negotiating a discount from Atlantic City officials, Wells Fargo has agreed to purchase an outstanding tax lien on the Revel property, which closed in September. Instead of the lien’s full total of $32.5 million to the city, Wells Fargo will pay Atlantic City $26 million. In exchange, Wells Fargo receives a foreclosure option on the casino and property, which in total cost $2.4 billion to acquire and build. The $26 million now guaranteed by Wells Fargo adds to $22 million the city recently received to cover oustanding tax liens owed on Trump Entertainment’s two bankrupt properties, Trump Plaza and Trump Taj Mahal. The guarantor of the tax lien for those two properties has yet to be publicly identified. Like the Revel, the Trump Plaza has already closed its doors, while the Trump Plaza teeters on the edge of closure, buoyed for only a few weeks by a separate $20 million pipeline in operating funds put forth by billionaire financier Carl Icahn. Recent developments in the Revel saga continue to be entertaining, if not particular fruitful. At last check, the official winner of the bankruptcy auction for the Revel property, Canadian financing group Brookfield Asset Management, had backed out of its winning auction bid of $110 million. At issue was a disputed debt over the power plant that generates energy for the casino property. Brookfield’s exit meant that the auction winner would default to a backup bid, a $95.4 million offer made by the mercurial Glenn Straub. Industry watchers remember that Straub protested the initial auction results after his original $90 million bid was used as a stalking horse to find other bidders, which resulted in Brookfield Asset’s now-rescinded offer. Straub at one point increased his own offer from $90 to $95.4 million, then protested the auction framework, asserting improprieties in the bidding process. Now that Straub’s bid is back in play, he has petitioned the bankruptcy court to reduce the amount owed for the property, if confirmed, as $87 million, not $95.4 million. The $8.4 million difference, according to Straub’s attorneys, is due to the original $5.4 million bid upgrade from Straub which Straub later asserted was extracted under misleading pretenses, plus a $3 million breakup fee originally negotiated as part of Straub’s bidding process. 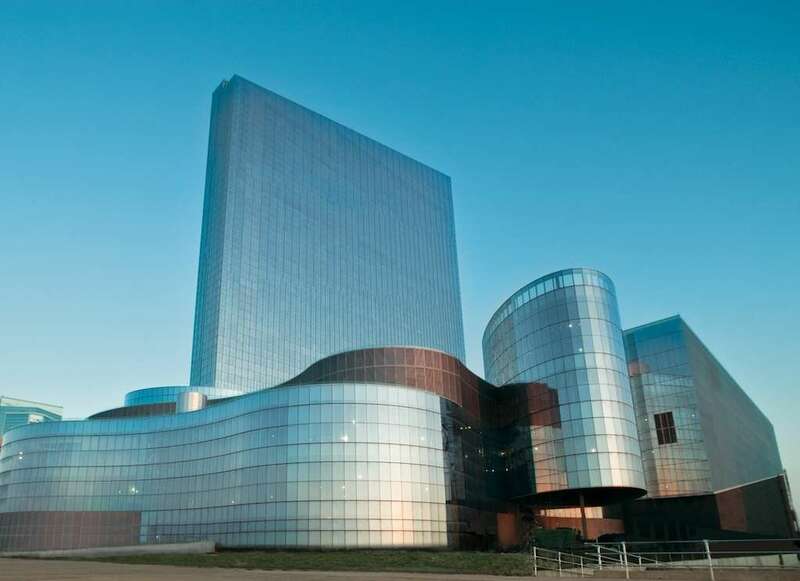 Straub believes he’s due the extra $3 million because Revel’s owners have pocketed an $11 million contingency fee associated with Brookfield Asset’s failed bid. Even if the Floridian millionaire Straub is declared the winner of the property, it’s not quite clear what will become of the now failed mega casino. Revel’s closing cost the Atlantic City casino market roughly 3,100 jobs, and Straub’s various concepts for the property don’t include relaunching the property as a new casino. Instead, Straub has publicly toyed with such concepts as converting the Revel into a “genius academy.” Think of that as a United Nations for thinkers, where the world’s greatest minds would meet and work toward solutions for solving social ills. Whether that concept could come to fruition, or whether Straub has something in mind that will produce a more firm return on investment, remains to be seen. Despite Straub’s ongoing flirtations, Atlantic City itself can rest easier for a few months. The Revel’s now-guaranteed tax lien payment, when added to that for the two Trump Entertainment properties, allows the city to cover its own budget needs well into 2015.